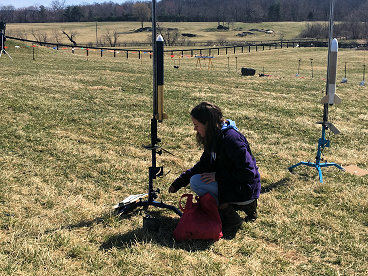 On Sunday, March 24, a few members from all teams traveled to the Great Meadow launch site for qualification flights. The day was cool and cloudy, but almost no wind. We used the NOVAAR launch rails, straight up. We got off six flights in little over two hours. Results were mixed. 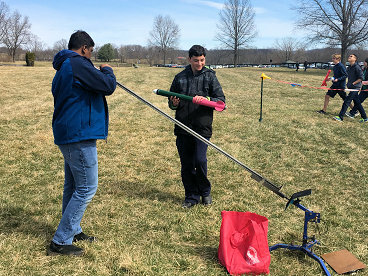 Team 5179 (Gold rocket) had a good first test flight, but the second flight (qualification #1) had tangled chutes and was disqualified. Altitude were 845 and 850 respectively. 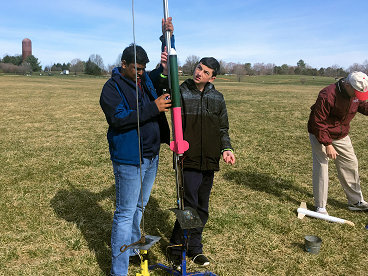 Team 5180 (Multicolor rocket) had a good first flight (865ft and 45sec), but were not allowed to qualify since their rocket was an inch too short. 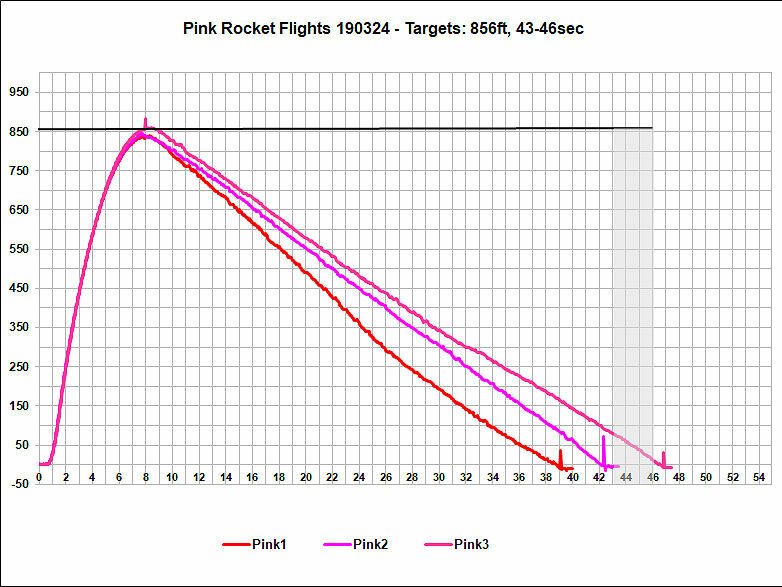 Team 5181 (Pink rocket) flew three times. Two test flights (838 and 845 respectively). 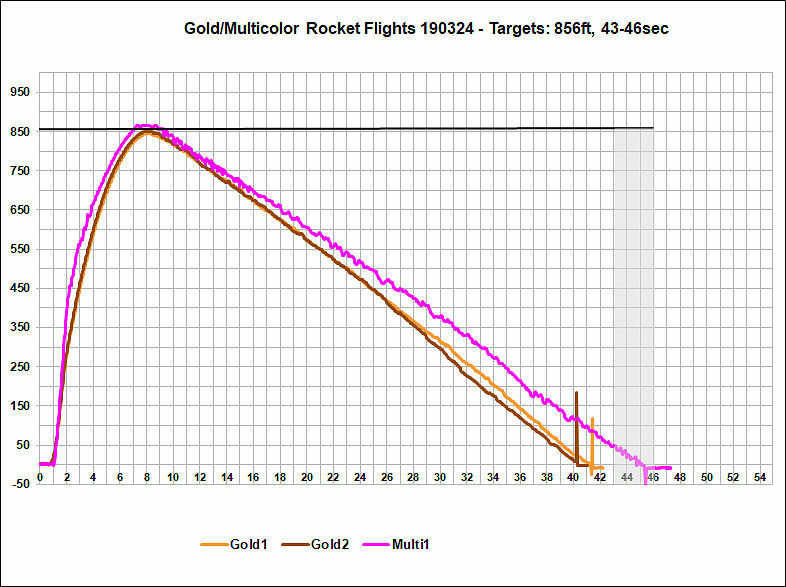 They then had one qualification flight (860ft and 45sec) for a score of 4. 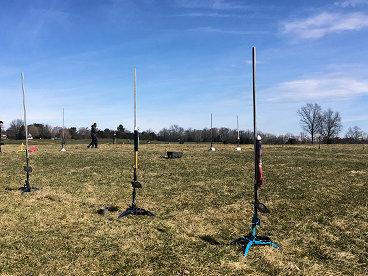 Each team will fly one test flight and then one qualification flight. They will use F39-6T from one lot number and the same packs. Plan two more qualification outings before April 7. All flights were relatively straight. Team 5181's streamer worked fine, no tangled chutes. Team 5179 only had one member at he launch and needed the team's input to load the chutes. Team 5179 and 5181 adjusted their weights to improve their altitude successfully - about 2 feet per gram. Weights between 498 and 504 see to be best.